Curtis Harper (right) exited the ring at the sound of the opening bellBoxer Curtis Harper has been criticised by his trainer for leaving the ring after the opening bell of a heavyweight bout in protest over pay.The 30-year-old American instantly walked out of the arena when the bell sounded for his bout against Efe Ajagba of Nigeria in Minneapolis.Trainer Nate Campbell said he was "embarrassed" by his fighter's move. 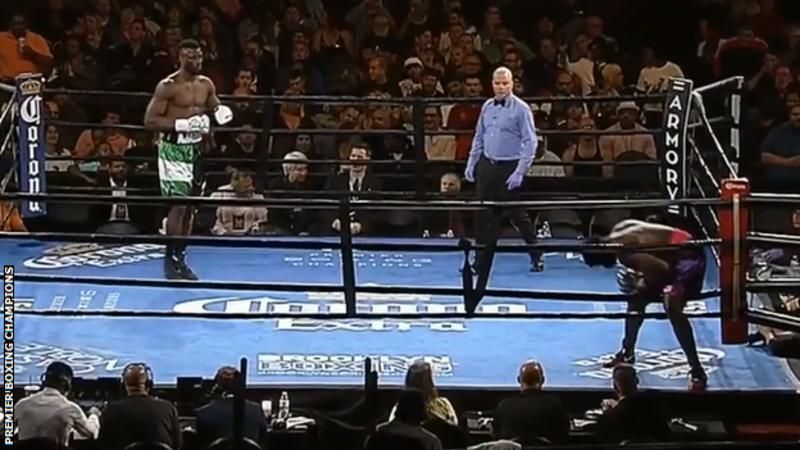 "This man disrespected himself, his wife, the fans and me," Campbell posted on social media.Journalist Jordan Hardy - who works for Premier Boxing Champions, which was broadcasting the fight - said Harper told her the walkout was because of money. 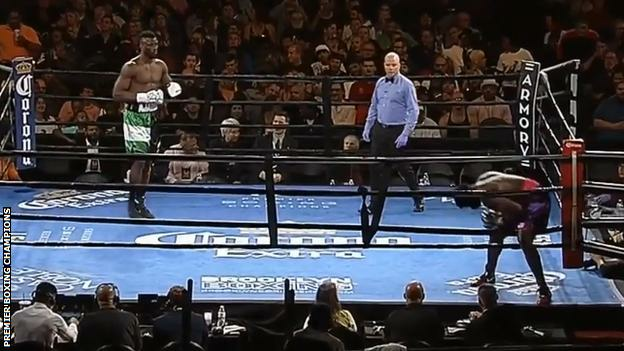 "He walked out of the ring because he's not getting paid enough to fight and that he wants respect," she wrote on social media.Harper had reached the bottom of the steps at the side of the ring with just five seconds gone in the round.Fans began booing as he made his way along the walkway out of the ring and officials disqualified him at the one-second mark of the first round.Britain's former unified heavyweight champion of the world Lennox Lewis shared footage of the incident on social media.Writing on Twitter, Dave Coldwell, trainer of British heavyweight Tony Bellew, said: "Boxing...expect the unexpected!! Can't say I've ever seen this before! 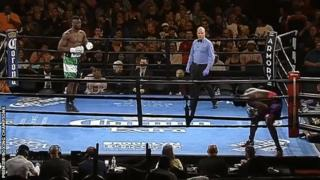 "Harper now holds a record of six defeats and 13 wins, while Ajagba, 24, has six wins from six, including five knockouts. 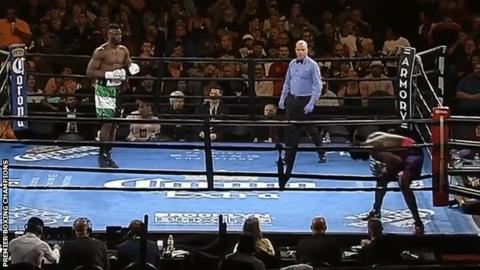 Bell ringsCommentator one: "And Curtis Harper has walked out of the ring. "Commentator two: "Wait, what? I have never seen this before. He has walked out of the ring. He's not fighting this guy. I have never seen this before in my life and the fans are really upset right now."